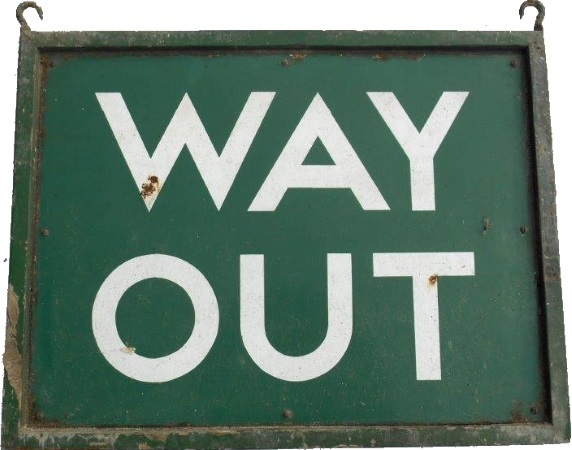 Lot 130 SR Enamel Double Sided Platform Station Sign "WAY OUT". Complete in its original Wooden Surround along with its Hanging brackets. As removed condition. Size 26" x 20".